The NFPA Conference & Expo® is one of the world’s biggest and most comprehensive fire, electrical, and life safety events. Join us in San Antonio this June. Another recent architectural trend includes the design and construction of increasingly tall buildings made of engineered wood cited for their advantages in sustainability resulting from the use of wood as a renewable construction material. Research shows that today's homebuilding materials under fire can impact firefighter safety. Studies point to the fire failure of unprotected, lightweight engineered wood systems routinely used in floors and roofs of new homes. The Building Construction and Safety Code® provides requirements for those construction, protection, and occupancy features necessary to safeguard life, health, property, and public welfare and minimize injuries. In February, fire tore through a crowded neighborhood in Bangladesh, killing at least 67 people. The fire spread quickly, aided by the presence of chemicals being stored among business and residential occupancies. While the government recognized the hazard, more would have been needed than just a push from government to build the full framework of safety. Get the insight you need on NFPA codes and standards, right at your fingertips, with NFPA CodeFinder™. Join us in San Antonio from June 17-20 at one of the world’s most comprehensive fire, electrical, and life safety events. Gain valuable insights, meet with industry experts and learn about new products and solutions. The NFPA Technical Meeting is tentatively scheduled to begin at 8:00 a.m. on Thursday, June 20th. Get a full three-day access to the exhibit hall, and participate in special education sessions. Over 120 education sessions will take place over the course of three full days. Whether you’re employed in the state of Massachusetts, where a Certificate is required, or engage in hot work operations anywhere else, show your commitment to the highest level of safety standards. Earn your Certificate online (awarded a Gold Brandon Hall Excellence in Learning Award) or register for classroom training. The way an automatic sprinkler system has been installed can make the critical difference between a small flare-up and a four-alarm fire. That’s why we’re here for you with time-tested resources like NFPA 13, the industry standard for installing safe systems. Whether old or new, every building needs safety at its foundation. NFPA 101, Life Safety Code® is the only document that covers life safety in both new and existing structures. Major revisions for 2018 include an expanded scope that delivers in-depth coverage on sprinklers, alarms, smoke barriers, special hazard protection, and more. Electrical contractors who service marinas, harbors, ports, and docks must work with owners to take the necessary steps to mitigate electrical risks in boating areas. Tragic events involving electric shock drownings have prompted a flurry of activity around ground-fault protection in marinas and boatyards, prompting a proposed change in the 2020 NEC. Tentative interim amendments (TIA) for the 2020 edition of the NEC have provided more options to comply with the ground-fault protection requirements for marina and boatyard electrical systems. A report provides a comprehensive risk assessment and associated action plan to prevent, mitigate and/or eliminate the harmful effects of electric shock drowning in marinas. CLASSROOM TRAINING COVERING ELECTRICAL SAFETY, FIRE SUPPRESSION SYSTEMS, BUILDING AND LIFE SAFETY AND MORE. Equip yourself with the most cutting-edge information and be prepared for any situation with NFPA electrical training & certifications. A solid foundation makes every facility stronger.  Get building and life safety training & certifications from NFPA. Make a difference and build your career with fire protection training & certifications from NFPA. Shop the latest catalog to access NFPA® products and services, including the 2019 editions of NFPA 13 and NFPA 72®, as well as exclusive National Electrical Code® (NEC®) discounted bundles. NFPA Xchange TM connects you with peers around the world and NFPA staff. Discussion forums, blogs, and member-only exclusive content and answers to technical questions. Introducing Engage, Advance, and Lead memberships: three new ways to tap into the NFPA network of professionals and information.